Repair Sharks, a leading service provider for iPhone Repairs, receives a best-in-class 5-star rating from TopConsumerReviews.com. Add a quotableFor the fourth year in a row, Repair Sharks earns our top rating for iPhone repairs, and we’re extremely pleased to give them our highest ranking in 2017. TopConsumerReviews.com recently awarded their highest five-star rating to Repair Sharks, a market leader in iPhone Repair services. Everywhere one looks, iPhones are one of the most popular mobile phones on the market. And, because accidents happen, iPhone repair services are also gaining in popularity. From shattered screens to dead batteries, fixing an iPhone can often be an expensive problem, especially when limited to the Apple Genius Bar. For that reason, independently-owned iPhone repair services are often where customers turn for a less expensive solution to their cell phone problems. A number of iPhone repair companies exist today but a handful of them provide excellent service at fair prices. To find out more about Repair Sharks and other online providers of iPhone Repair services, including reviews and comparison rankings, please visit the iPhone Repair category of TopConsumerReviews.com at http://www.topconsumerreviews.com/iphone-repair/. Repair Sharks is an industry leader in iPad, iPhone, Xbox, Playstation, MacBook, and PC Repair. They service all issues and models from the original 1st Generation iPad to the most recent iPhone. They have been in the business of repairs since 2006 and have since helped thousands of customers with their devices. A family owned and operated business, Repair Sharks employs local technicians that are trained and apprenticed under master technician and founder Daniel Cieslak. 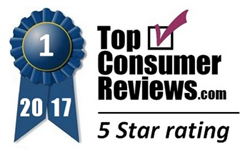 TopConsumerReviews.com, LLC is a leading provider of independent reviews and rankings of hundreds of consumer products and services. From iPhone Repair to Computer Backups and Home Security, TopConsumerReviews.com delivers in-depth product evaluations in order to make purchasing decisions easier.